Just in case anyone missed the Rockwall County EMS presentation last year. Below is a quick overview of what was presented. Chief Mitch Ownby presented the good news of upgrades to the costs that substantially decreased. With a county population of roughly 35,000, 2 fully staffed stations were adequate to accommodate emergency calls. Initially, two 24-hour ambulances (1 in Rockwall and 1 in Royse City), a “day car”, or daytime ambulance, and a quick-response supervisor vehicle (call sign – Medic 80). As population increased, so too did the number of ambulances put into service daily. 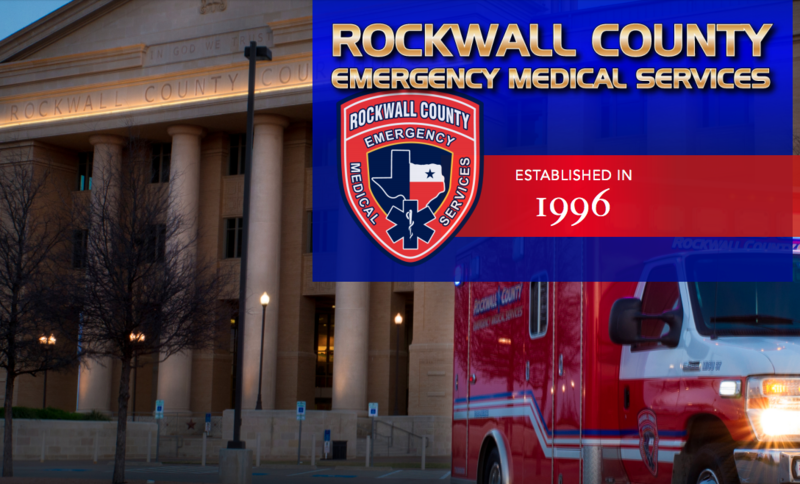 Rockwall County EMS established in 1996. The desire was for dedicated, local EMS. The Emergency Services Corporation established in 2003. It was taken over from Rockwall County Commissioners Court, allowing for all Rockwall County cities to have a voice. The 10 year ESC contract began in 2007. Stations dispersed evenly throughout county to keep wait time for medical aid to a minimum. The new ESC contract allows for an Emergency Physician’s Advisory Board. The Emergency Department Physicians from all County hospitals can be involved in EMS oversight. The new contract allows for an ESC Medical Director who is appointed by and working for the ESC. The contract allows for more robust emergency medical training for the area First Responder Organizations including Rockwall FD, Heath DPS, McLendon-Chisholm VFD, Fate DPS and Royse City FD. The efficiencies and technologies gained by contracting with American Medical Response (AMR), the nations largest EMS agency, through a Master Service Agreement (MSA). Rockwall County EMS dispatching performed by AMR from their Dallas-area Texas Regional Communication Center (TRCC). It is robust enough to act as the FEMA Emergency Operations Center (EOC). AMR dispatches using a proprietary, artificially intelligent Computer-Aided Dispatch (CAD) know as LOGIS. The billing is done by AMR through the MSA, the nations largest EMS biller.